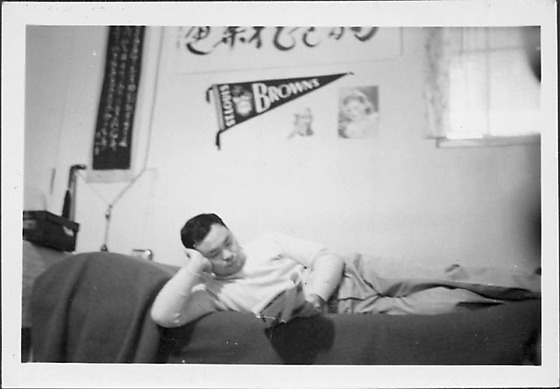 Man in sweatshirt and pants reclines on a bed reading a magazine below a St. Louis Browns pennant, pictures and calligraphy on wall, Rohwer, Arkansas, November 9, 1944. Curtained window, TRC. Stamped in black ink on back: NOV 9 1944.